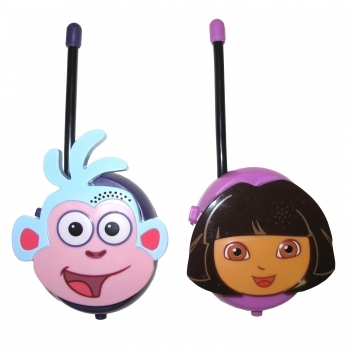 The Dora and Boots Walkie Talkie Set lets your child talk with a friend while on an adventure. Your kid can imagine being Dora and starts to explore with her friend using this Dora the explorer walkie talkie. It features a button that should be pushed to talk and a flexible antenna. Children can go around talking with this Dora walkies talkie and keep themselves engaged without disturbing you.